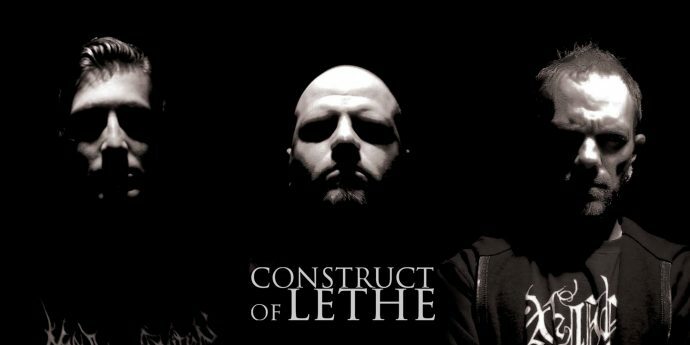 On October 7, the death metal band Construct of Lethe will release a new concept EP named The Grand Machination. Not long ago we premiered one of the six tracks on the EP, and today we have for you a full stream (along with a review). 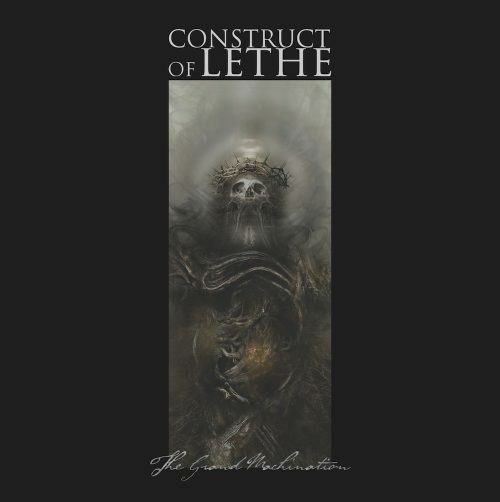 For those who may only now be discovering the band, Construct of Lethe was started as a project of Tony Petrocelly (ex-Bethledeign, Dead Syndicate, Deranged Theory, Xaoc) and now includes a full line-up of Petrocelly (guitars, bass), David Schmidt (vocals), and Swiss lead guitarist Patrick Bonvin (Near Death Condition). Session drums on the EP were provided by the veteran Kevin Talley. The EP is a compact 25-minute affair, but it’s a memorable and very dark experience. The basic building blocks of the Construct of Lethe’s musical strategy are present in every song, and yet those ingredients don’t wear out their welcome, in part because they are contrasting as well as complementary. On the one hand, the band deliver cold and mechanistic brutality through bursts of jackhammering riffs and bullet-spitting drumwork. Also delivered in a similar start-stop fashion are explosions of hyperkinetic frenzy, with the riffs turning from pneumatic hammering and jabbing to buzzing swarms. Doom-saturated dissonance radiates from these assaults like a toxic fog, and moaning, groaning chords ring out, as if the rusted hinges of some giant gate are being flung violently back and forth by an equally enormous gale. These backbones of the songs make you feel as if your mind has been caught on some rushing assembly (or disassembly) line and regularly subjected to the clobbering ministrations of pneumatic precision mechanisms, with the overall brutality of the experience amplified by the measured (and sometimes berserk) utterance of the lyrics in a gravel-throated growl. In this grim and heartless factory, sparks also fly. In every song, Patrick Bonvin’s piercing, riveting guitar solos leap out unexpectedly, without any elaborate build-up to telegraph that they are coming. The solos are also quite varied — though almost always eerie and head-spinning. Depending on the song, they are fluid and swirling, swooping and diving, scintillating and sparkling, warped and warbling, soulful and somber. Many of them are made even more electrifying because they’re executed by two guitars at once. As mentioned at the outset, an unfolding narrative ties these songs together, in addition to the common musical ingredients — and this is one of those too-rare death metal albums where the lyrics are well-worth reading; they tie into the music and vice-versa. The concept of the album is a reimagining of one of Mark Twain’s lesser known and most controversial works, published after his death, named Letters From Earth, in which Twain expressed his disdain for Christianity through essays and a short story consisting of 11 letters written by Satan to the archangels Gabriel and Michael (you can read them here) At the beginning of the EP and at the end of the songs, a voice speaks in excerpts from the letters over backdrops of weird ambient sounds. Supreme death metal. Lots of solid DM releases this year!